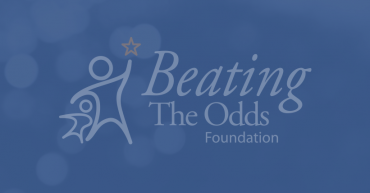 The first annual Beating The Odds “Quarterback Club” dinner was celebrated at Heinz Field with an evening of motivational stories, educational student recognition, dinner and entertainment. At the Vietnam Memorial, Washington DC, students heard Bob “Mr. Inspiration” Wieland speak of his 20 year anniversary of his Walk Across America. Penn State Alumni Adam Taliaferro, and Vietnam War Hero Bob Wieland participated in a special tribute to freedom at Beaver Stadium, during the Penn State vs. Cincinnati football game, September 10, 2005, on the four-year eve of 911. The Beating the Odds Foundation held a Beating The Odds Rally at Heinz Field, Pittsburgh, PA, on May 10, 2005. A Beating the Odds / Symbol of Freedom journey across Pennsylvania with Vietnam War Hero Bob Wieland. Beating the Odds gathered 5,000 students at PNC Park in Pittsburgh, PA to celebrate Freedom and to remember all those who lost their lives on 911. The Beating the Odds message was recognized as part of a tribute presented in San Antonio, Texas to Arnold Spielberg, father of film producer Steven Spielberg. The Beating the Odds message was shared with hundreds of thousands of people each Sunday in NFL cities across America as Vietnam War Hero Bob Wieland pedaled his arm pedaled bicycle from Philadelphia, PA to Los Angeles, CA and down to Jacksonville, Florida, covering 6200 miles. Rocco Scalzi and Rocky Bleier shared their stories with the Junior Olympic athletes in Orlando, Florida.